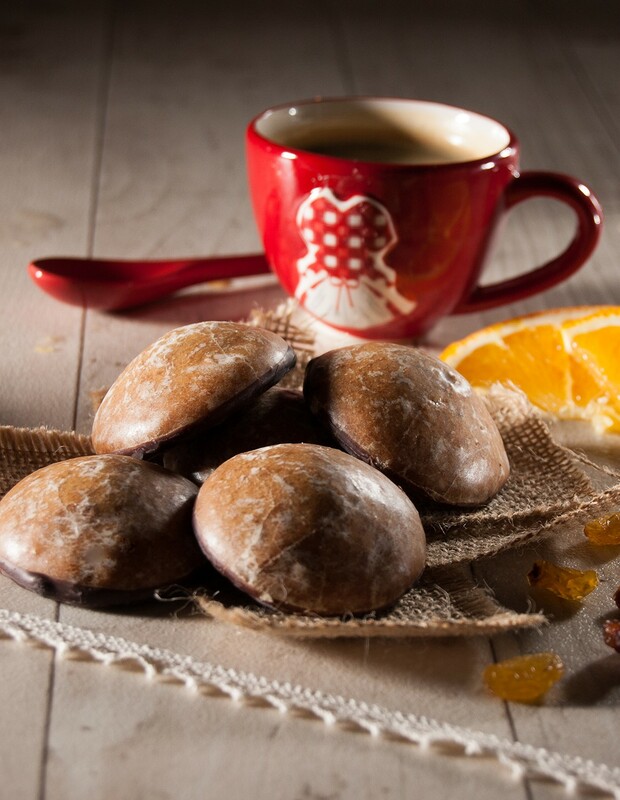 Soft pieces of gingerbread filled with fruit and with a sugar glaze. Coated with dark chocolate on one side. 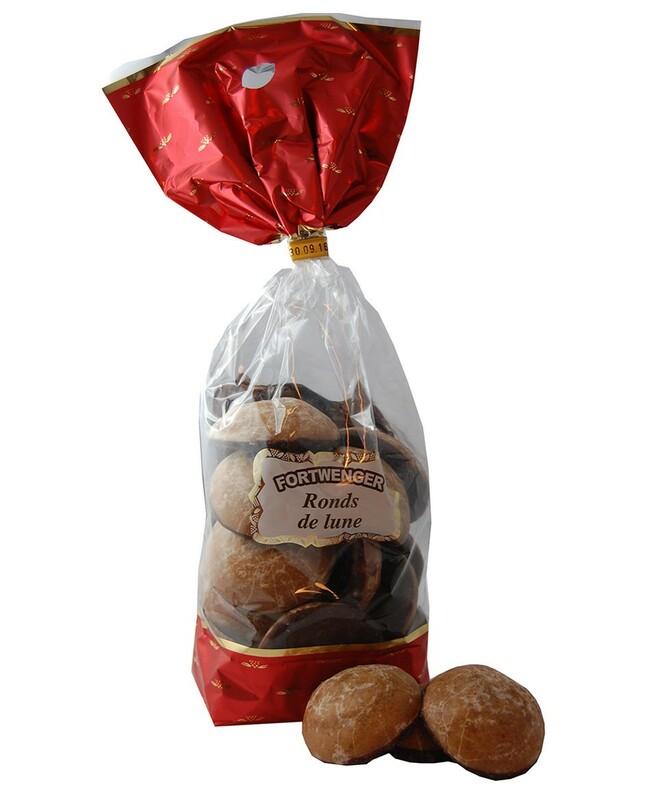 A soft gingerbread glazed with fruits (14%), chocolate coated (10%) : Sugar, wheat flour (gluten), glucose-fructose syrup, candied orange peel (orange peel, glucose-fructose syrup, sugar), persipan (apricot kernels, sugar, inverted sugar syrup), cocoa mass, humectants: sorbitols, glycerine; figs, apricots, potato starch, raisins, powdered whole egg, spices, cocoa butter, caramelised sugar syrup, natural flavouring, raising agents: sodium carbonates; wheat starch, salt acidifier: citric acid; emulsifier: soy lecithin; thickening agent : gum arabic. Gluten, eggs, soya. May contain traces of nuts, peanuts, sesame seeds and milk.